Bigbasket offering Rs. 50 cashback, shop for Rs.600 and above. Partner with Freecharge Valid till 10/04/2019 00:00:00. Bigbasket offering 10% cashabck, shop for Rs.1000. Valid on first Airtel Money / Payments Bank transaction. Partner with Airtel Valid till 30/04/2019 00:00:00. Bigbasket offering 10% instant discount, shop for Rs. 1500 & above. Valid only on credit cards. Use code RBLAPR. Partner with RBL Valid till 30/04/2019 00:00:00. 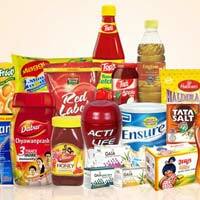 Bigbasket offering 10% instant discount, shop for Rs. 1500 & above. Valid only on credit cards. Use code HSBCAPR. Partner with HSBC Valid till 30/04/2019 00:00:00. Bigbasket offering Rs.100 SuperCash, shop for Rs.800. Partner with Mobikwik Valid till 30/04/2019 00:00:00. Bigbasket offering 20% cashback, shop for Rs.600 & above. Use code GROCERY on PayZapp page. Partner with PayZapp Valid till 30/04/2019 00:00:00. Bigbasket offering Rs.100 cashback, shop for Rs.1300 & above. Use code: PAYTMSTARAPR . Partner with Paytm (for bbStar) Valid till 10/04/2019 00:00:00. Bigbasket offering Rs.75 cashback, shop for Rs.1300 & above. Use code: PAYTMAPR. Partner with Paytm Valid till 10/04/2019 00:00:00. Bigbasket offering 20% cashback, shop for Rs. 2000 & above. Use code: CITIBB. Partner with Citibank Valid till 05/04/2019 00:00:00. Get upto 25% off on Peanut Butter , Food & Grocery Offer. Offer Valid till limited period only 3/16/2019. Get upto 50 % off on Dry Fruits , Food & Grocery Offer. Offer Valid till limited period only 3/16/2019. Get upto 20 % off on Protien bars , Food & Grocery Offer. Offer Valid till limited period only 3/16/2019. Get upto 50 % off on HealthKart , Food & Grocery Offer. Offer Valid till limited period only 3/16/2019. Get upto 12% off onPet Supplies , Food & Grocery Offer. Offer Valid till limited period only 8/21/2019. Up to 40% off on Organic Staples offering , Grocery deal, Valid till Mar 24, 2019 only. Up to 70% off on Household Cleaning offering , Grocery deal, Valid till Mar 24, 2019 only. Up to 70% off on Stationery offering , Grocery deal, Valid till Mar 24, 2019 only. Up to 70% off on Water Bottles & Lunch Boxes offering , Grocery deal, Valid till Mar 24, 2019 only. Up to 70% off on Cups, Mugs, Tumblers offering , Grocery deal, Valid till Mar 24, 2019 only. Browse all the latest Grocery Coupons, Discount Codes, Promo codes, Deals & Grocery Offers and deals, Use Grocery Coupon Codes for all fresh Fruits and Vegetables, Rice, Dals, Gourmets, Salt, Spices and Seasonings to Packaged products, Drinks, Beverages, Personal care products and more. We connect with the leading stores like Big basket, Nature's basket. Choose from huge range of listed Promo codes to find your best deal for grocery shopping online in India.